Love it! Where's the best place to buy this brand? That's one of the most autumnal polishes I've ever seen. Lovely! This color is on my wish list. I love it so so much!!!! This color is on my wish list. I love it so so so much!!!! Your swatches are just superb!!! I can't imagine needing that much top coat. It would peel off my nails in no time. Love it! You always have the best swatches. I think you can make any polish look amazing. This nail polish looks gorgeous! This is so pretty! Is Gelous a quick dry topcoat? I'm always looking for a good one. I like Seche Vite a lot but I get shrinkage problems with it. So pretty! But damn that's a lot of topcoat!! Ordered! Can't wait! This is one that I don't have anything like. Bought French Roast and it's great. 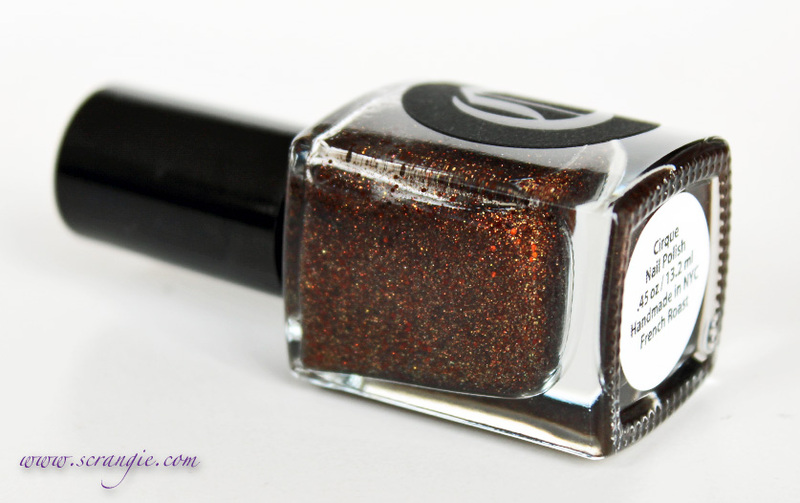 Beautiful color and the formula is perfect - not too thick goes on great - very satisfied with this polish soo so pretty I love coppers and golds and browns.Some of the polish I have bought online has been too thick . Are u using the Gelous base coat as a top coat? Or the Gelous top coat as a top coat? Does the Gelous base coat take a long time to dry? Do you put it under a UV lamp for curing (drying?) The way this looks on the nails is so worth the extra top coat. can you please clarify what kind of gelous you are mentioning?? and a link where i can get the nail polish and gelous?? Wow, I really loooove this one! It's great! This is a really gorgeous glitter! I love it! I actually said out loud, "Whoa, THAT is gorgeous!"